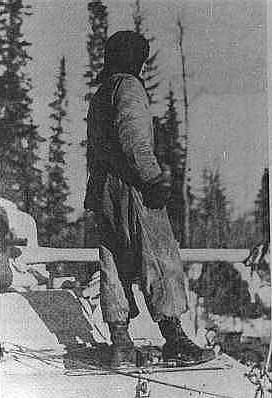 Traditionally Canadian armored vehicle crews often preferred to wear only their black berets, but hard realities dictated that more protective head-gear was required. In the summer of 1940, DND opted to adopt a Canadian-made version of the British Helmet, Crash Royal Armoured Regiment. The helmet was made of cloth covered cork, with rubber vents in the sides.and a web suspension. 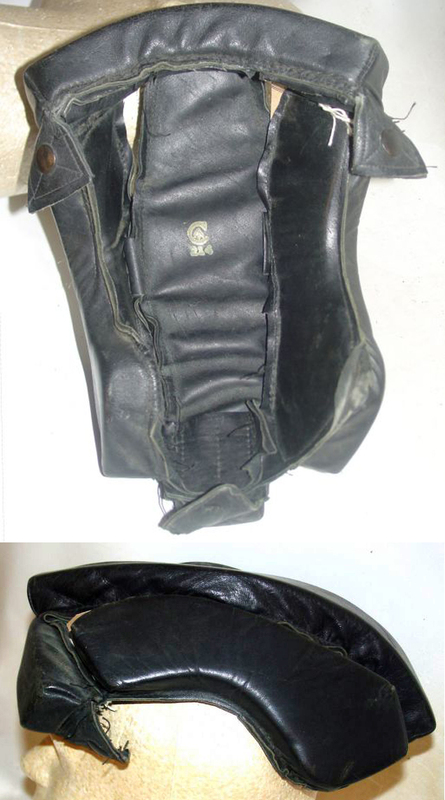 A leather “scrum”, attached by laces and buttons, held the head phones. Some 12,000 were made. Known in Canadian service as the Helmet, Crash, Tank Battalion, they were not issued overseas, but remained in service in Canada until 1966. As Canadian procurement was taking longer than anticipated (and because the London office of the DM&S had apparently mislaid its original requisition) the War Office was asked in late December, 1940 for 2,500 Helmets, Tank. The helmets provided were the British Helmet Crash, Royal Armoured Corps, a war-time expedient, introduced in 1940, made from three pieces of fibre riveted together. These helmets protected the wearer only from impacts, they provided no ballistic protection. 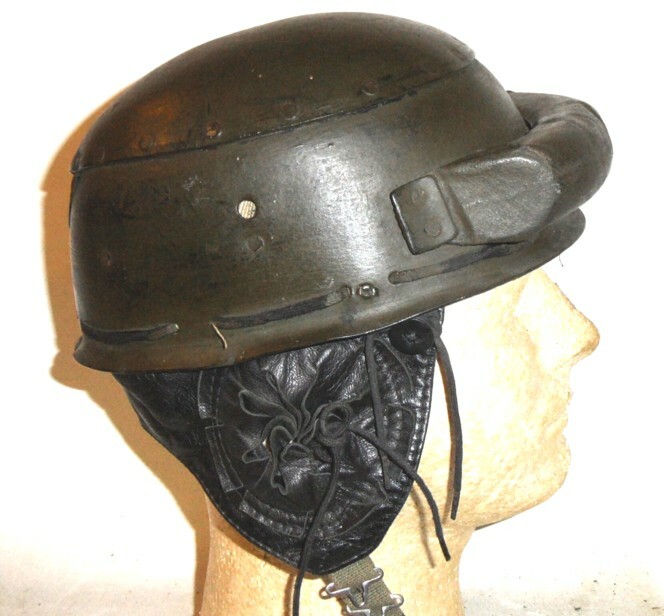 In 1942, the British developed a steel helmet with the same body as its DR and airborne helmets but with the lining and chin-strap of the Mk.II helmet. 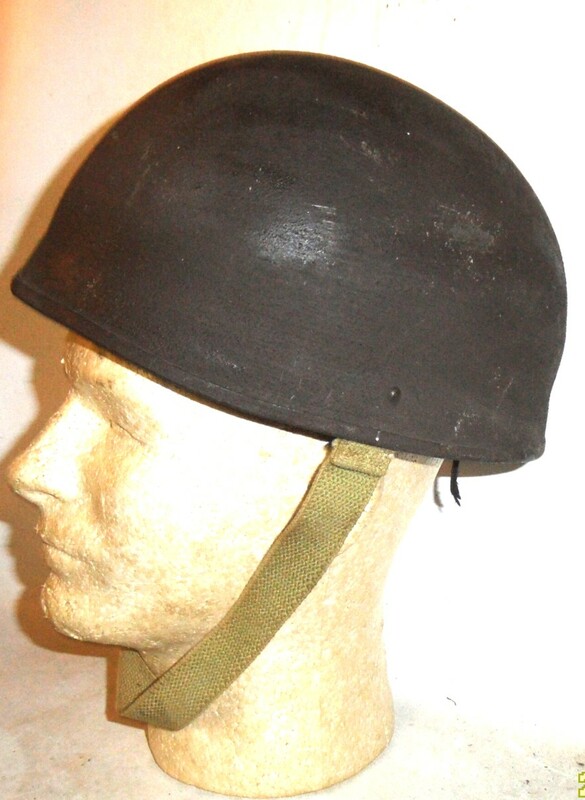 This Helmet, Steel RAC Mk I was adopted by the the Canadian Army overseas in June, 1943. Canadian production was not undertaken and helmets were issued from British stocks from early 1944. Canadian tankers were not wholly satisfied with it. Its compatibility with the AFV headsets was somewhat limited. Trials showed that for the helmet rim to clear the head-set, the lining had to be adjusted so the helmet rode as high as possible and the steel band of the head-set worn as low as possible on the back of the neck. Even these adjustments would not work with certain head shapes. In addition the helmet’s passing resemblance to the German Paratrooper helmet made them unpopular in areas where Fallschirmjäger operated. 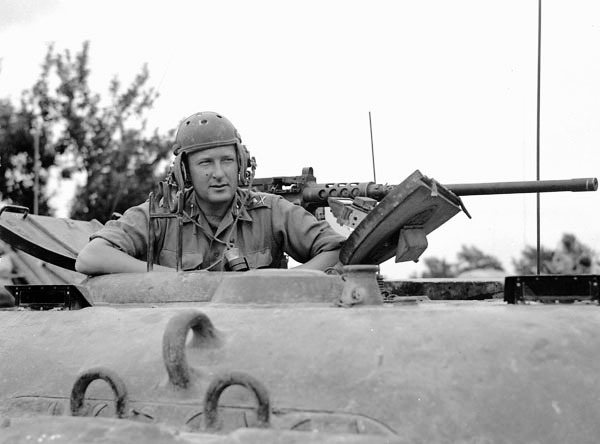 The Canadian Armoured Corps also used large numbers of American tanks, which came with a set of fibre US Helmets Tank. Its Canadian designation was: Helmet, Crash, Tank, USA Pattern. Examples were tested in February, 1943 by the Experimental Wing of the Canadian Armoured Corps Training Centre in Borden Ontario. It was found to be light and comfortable and could be worn for long periods without strain, if properly fitted. It withstood shock well (hitting the occupant with 4cm metal pipe at a force of 15kg, caused little discomfort. For extra protection, a Mk.II helmet with the lining removed could be worn over it, and it could be worn comfortably with a respirator. 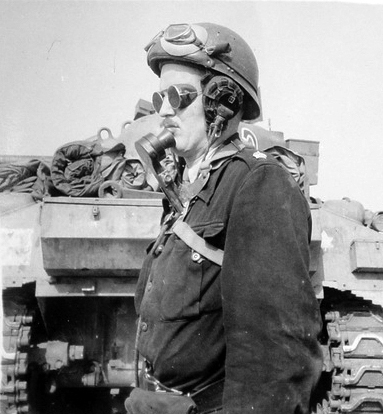 The helmet did not interfere either with the use of goggles or the tank’s telescope. The fibre did not soften after 45 minutes exposure to artificial rain-fall. 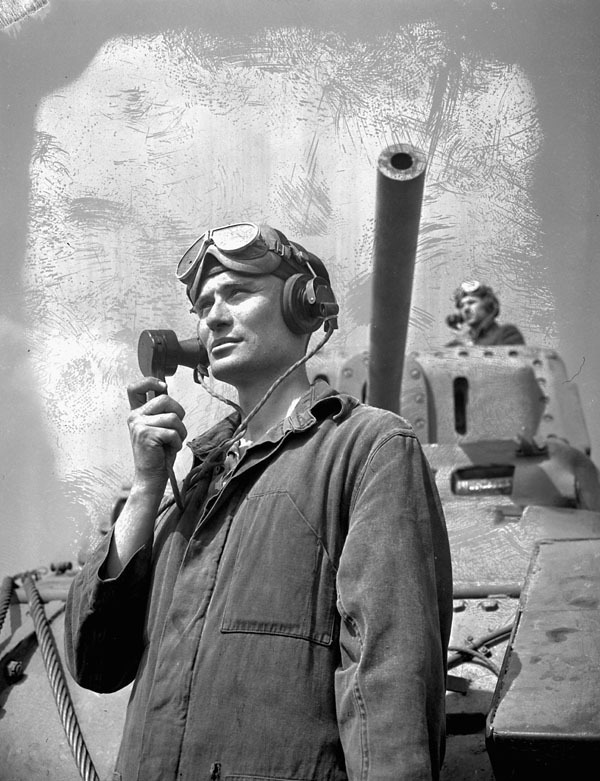 The only criticisms were ear-flaps did not accommodate the standard wireless head-phones, and the large perforations in the crown made it unsuitable for use in cold or wet weather. These helmets proved quite poplar with Canadian troops in both Italy and NW Europe. Wearing his Helmet, Tank, US, in a more heroic pose than the CAC Experimental Wing’s model, is Major General Bert Hoffmeister. The Army Technical Development Board also initiated a project to develop a winter tank helmet. 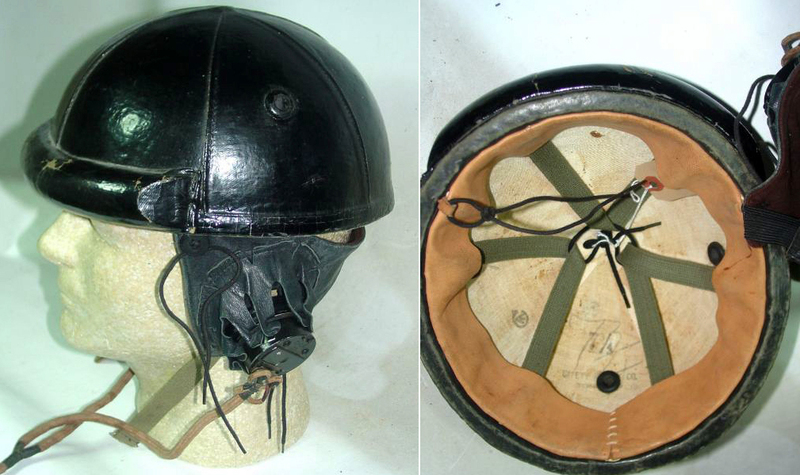 The experimental Helmet, Tank Crew, Leather was tested in Exercises Eskimo and Polar Bear in the winter of 1944/45. The exercises revealed the need for additional padding at the forehead and temples and along the top and back of the head, as well as a redesign to allow bitter fit for head-phones. While it received General Staff approval in September 1945, no procurement action seems to have been taken.. This poor but intriguing photo seems to be the only one known of this helmet. However a number examples exist of a leather-covered Sorbo rubber confection with a C broad arrow stamp inside. Failing any other logical explanation of its purpose it may be the interior padding to the helmet tank leather. Excellent synopsis of the development of the Canadian tank helmet. Well written and well illustrated.